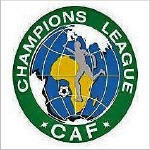 Nigeria's Heartland are through to the Champions League final after defeating their compatriots Kano Pillars 1-0. The second-leg away win on Saturday sent them through on a 5-0 aggregate after they won the first leg 4-0. Uche Agba, the hero in their first-leg demolition of Pillars, was once again the star as they won the game in Kano. Having scored twice in the first leg, it was Agba who fired the stunning shot in the final minute top put Heartland through to the final. His spectacular dipping half-volley from 25 yards bounced in front of a diving goalkeeper Theophilus Joel before finding the net. The fiery all-Nigerian contest was halted for ten minutes when the home fans threw missiles onto the pitch in the second half. Pillars had a decent chances of their own but their they fluffed their opportunities in front of the capacity home crowd. Victor Namo supplied a cross for Victor Ogaga and his header flashed just wide. Namo and Bello Kofarmata also had their chances to put their side in the lead but they were also profligate until they were punished by Agba. The second-leg tie was originally scheduled for next week but was brought forward to allow Nigeria prepare for its hosting of U17 World Cup. Heartland FC now await the outcome of the other semi-final next weekend to see who their opponents will be. TP Mazembe Englebert of the DR of Congo have to be the favourites having beaten Al Hilal of Sudan in the first leg 5-2 away. They host the return leg on October 18.